The Boeing 777X is not scheduled to enter service until 2020, but that’s a lot closer than may sound. Boeing has mounted the first GE9x engine to the wing of GE’s 747-400 testbed to begin flights . The GE9X is rated at 105,000 pounds of thrust and includes a 134-in diameter fan encased in a 174-in nacelle. Those are the largest dimensional measurements ever for a jet engine: the fan is 11 feet in diameter and the nacelle is 14.5 feet in diameter. Picture shown, credited to GE, shows how large the engine is compared to the 747’s GE made CF6-80C2 engine (93-inch fan, 59,000 pounds thrust) and how the new engine had to be canted forward and tilted upward to provide adequate ground clearance on the testbed plane. The engine mounted to the testbed is the fourth built by GE. The first engine to test was fired up in March 2016 and currently being checked out at GE’s icing test facility in Winnipeg, Ontario, which had to be modified to accommodate the giant engine. The second GE9X is being used to demonstrate performance conditions the engine will have to pass in order to pass the FAA’s 150-hour block test this year. Part of that test includes running the engine at triple red-line conditions: maximum fan speed, maximum core speed and maximum exhaust gas temperature to test the engine at the most extreme conditions. The third engine is being prepared for crossing testing at a GE facility in Ohio. A flight is headed for Winnipeg as soon as it is built and another three are being assembled. The first flight-test engines for the first 777X will be shipped to Boeing later this year and initial flight of the first 777X family — the 777-9 —is expected in early 2019. 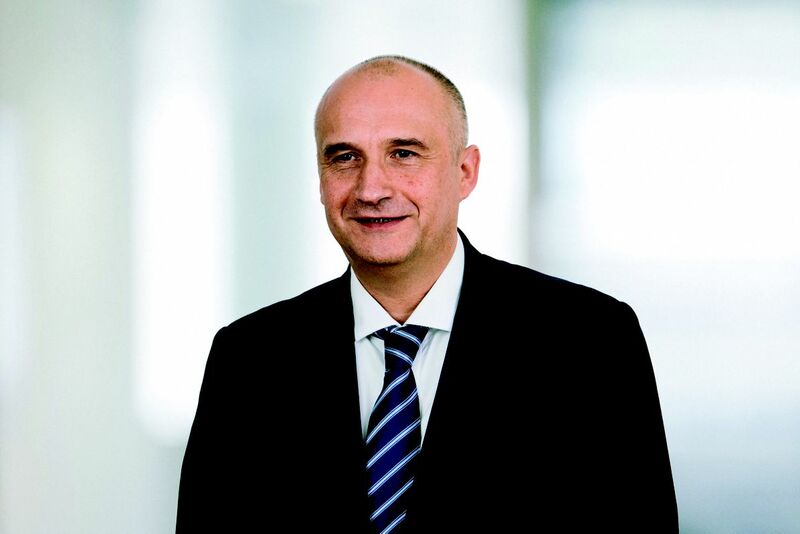 Airbus has appointed Eric Schulz Chief of Sales, Marketing and Contracts for the company’s Commercial Aircraft business. In this function, he will join Airbus at the end of this month and will report to Chief Executive Officer Tom Enders. Schulz comes from Rolls-Royce where he has been serving as President — Civil Aerospace since January 2016. At Airbus, he will succeed John Leahy, 67, who has been at the helm of the Commercial Aircraft’s Sales organization since 1994. “We are glad to have Eric Schulz joining our team. He has broad international experience in the aerospace industry, a deep understanding of airline operations and aero engines. critical juncture of our company’s development“ said Tom Enders. Affectionately known to airlines around the world as “Mr. 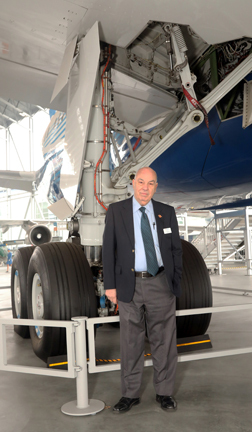 Airbus”, John Leahy joined the company in 1985 from Piper Aircraft in the U.S. and will retire after 33 years of service. With more than 16,000 aircraft sold under his leadership, which accounts for 90 percent of all Airbus aircraft sold. Leahy will remain with Airbus for a few months’ transition period with his successor. 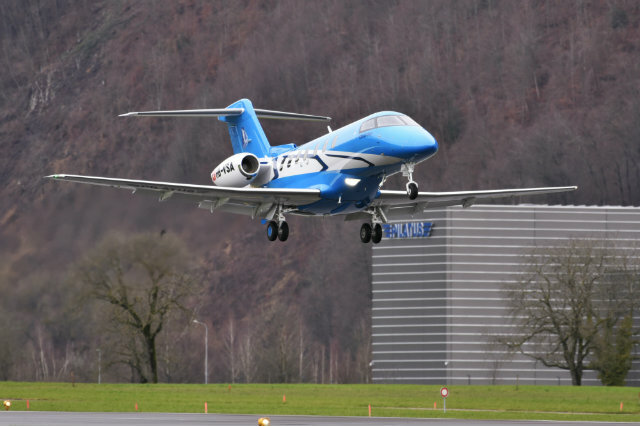 The First Pilatus PC-24 destined for launch customer PlaneSense has been registered in Switzerland by Stans-based airframer, as certification and service entry of the super light business jet draw near. 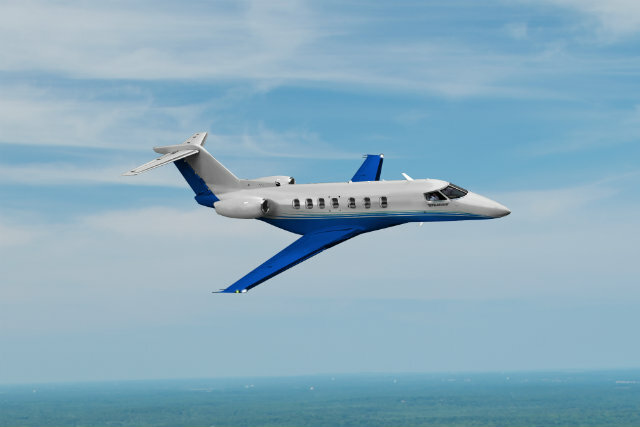 The all-metal aircraft— serial number 101— carries registration HB-VSB and will be delivered to the US fractional ownership company following European Aviation Safety Agency and US Federal Aviation Administration validation of the PC-24 program. 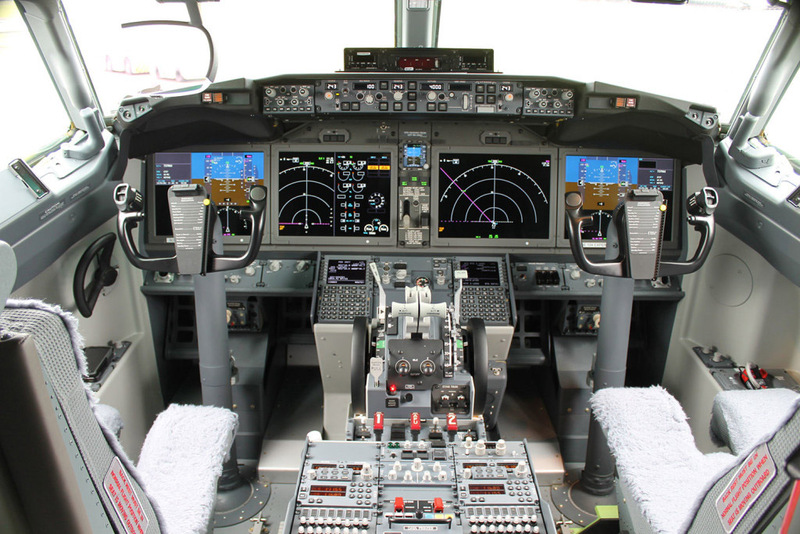 Following pre-delivery testing, the aircraft will be placed on the FAA registry of N-prefixed aircraft. PlaneSense is already a long-standing Pilatus customer and the largest commercial operator of its PC-12NG single-engined turboprop, with a fleet of 35. Based in New Hampshire, The operator acquired six PC-24s from the first order round, which sold out within 36 hours of opening in 2013. Pilatus has a backlog for 84 PC-24s, and plans to reopen the order book this year. The seven-seat PC-24 is Pilates’s first jet after almost eight decades of producing models as the PC-12 — the best-selling single turboprop business aircraft, with more than 1,500 deliveries to date. The company also produces the PC-21 turboprop military trainer, whose customers include the French air force. American Airlines launched the next phase of its fleet rental program with the introduction of the Boeing 737 Max 8 on November 29. The Fort Worth-based carrier debuted the aircraft on the Miami-New Your La Guardia route with the 737 Max 8 beginning its day with a 7:00 a.m. departure to New York and then operating the return leg to Miami at 11:00 a.m.
Pilots Steve Efken and Monica Svensson, who flew the aircraft on both flights, told Flightglobal while on the ground at LaGuardia that the aircraft handled well and was quieter than the 737-800.They added that the cockpit displays were comparable to those on the Boeing 787 rather than the 737 NGs. American configures its 737 Max 8s with 172 seats,16 in first class and 156 in economy, including 30 extra-legroom economy seats. This is more seats than on its 737-800s, which will be reconfigured to match the density of the Max over the next few years. American is the second US airline to debut the 737 Max 8, following launch customer Southwest Airlines’ introduction of the type on October 1,2017. American is basing its first 737 Max 8s at its Miami International airport hub. While the 737 Max 8 may replace the A319s and 757s at Miami the carrier will also use the 737 Max 8s to replace the aircraft, including A320s and Boeing MD-80s, as part of a broader fleet renewal. American has firm orders for 98 737 Max 8s in addition to the two already in its fleet. 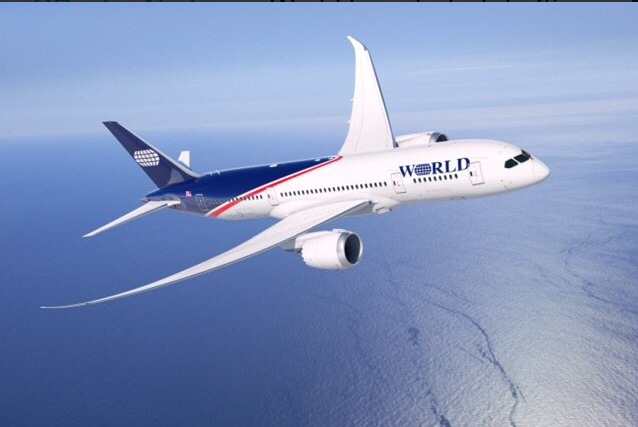 Ed Wegel has announced plans to relaunch former wide body freight operator World Airways as a long-haul passenger carrying airline flying Boeing 787s using an ultra-low-cost model. US based investment firm 777 Partners acquired the intellectual property of World Airways, Inc., named Wegel as founding chief executive of the re-launched carrier and disclosed on-going discussions with Boeing to order up to 10 787s. “We are proud to begin preparations to launch scheduled operations from the US to Asia and Latin America,” Wegel says in a statement. In a long and wide-ranging career, Wegel founded short-lived carrier People Express in the 1980s, led US Airways Express in the 1990s and most recently attempted to revive Eastern Airways, which was acquired by Swift Air last year. The relaunched World’s chief marketing officer, Freddie Laker, will reveal the carrier’s new brand in the “ next few weeks”,Wegel Says. Despite its Boeing widebody-themed name, Miami-based 777 Partners’ owns a broad portfolio of information technology, health care and financial services companies, and World Airways represents the firm’s only aviation asset. On December 6 Air France retrieved the Airbus A380 stranded in Goose Bay, since September 30 after it diverted following unconfined failure of one of its Engine Alliance GP7200 powerplants. Air France crew, rather than Airbus personnel, flew the aircraft back to Paris Charles de Gaulle. The aircraft has been taken to the H6 hanger at the airport’s facility which was specifically designed for A380 maintenance. Air France says the aircraft will undergo checks for “a few weeks” before it is returned to scheduled service. Its engine was subsequently replaced in Goose Bay, having been transported by an Antonov An124, and the A380 departed Canada with all four powerplants functioning says the airline. Air France says the detached engine has been shipped to the UK for further analysis to determine the nature and cause of the failure, which included the loss of its fan disk. United Airlines will retrofit its Boeing 757-300 fleet with slimline seats by the middle of this year, increasing the number of economy seats on the aircraft to more than 200. The Chicago-based carrier will add 20 seats to the economy cabin on the aircraft for a total of 210 seats. First class will continue to have 24 seats. The 757-300 is the latest aircraft in United’s fleet to receive additional economy seats. The carrier is reconfiguring its legacy United Boeing 767-300ERs with 214 seats from 213 as it installs its new Polaris business class, and its Boeing 777-200s with 292 seats from either 267 or 269 with Polaris installations. Adding seats to an aircraft in a carrier’s fleet is a cheaper way to increase capacity — and reduce unit costs — than purchasing new or additional aircraft. United operates 21 757-300s, and operates the aircraft on high-density routes primarily from its Chicago O”Hare, Denver and San Francisco hubs. SMBC Aviation Capital announced an agreement with AeroMexico for the purchase and leaseback of 10 Boeing 737 MAX, which includes a pre-delivery payment facility for all 10 aircraft, which are scheduled to deliver between 2018 and 2020 and will be made up of eight 737 MAX 8s and two 737 MAX9s powered by CFM International LEAP-1B engines. EasyJet wet-leased six A320s from SmartLynx to operate out of Berlin Tegel in the first quarter of this year. Norwegian took delivery of its 150th Boeing aircraft (787-9) since 2008. Avalon Irish lessor delivered one Airbus A320neo to LATAM Airlines Group. 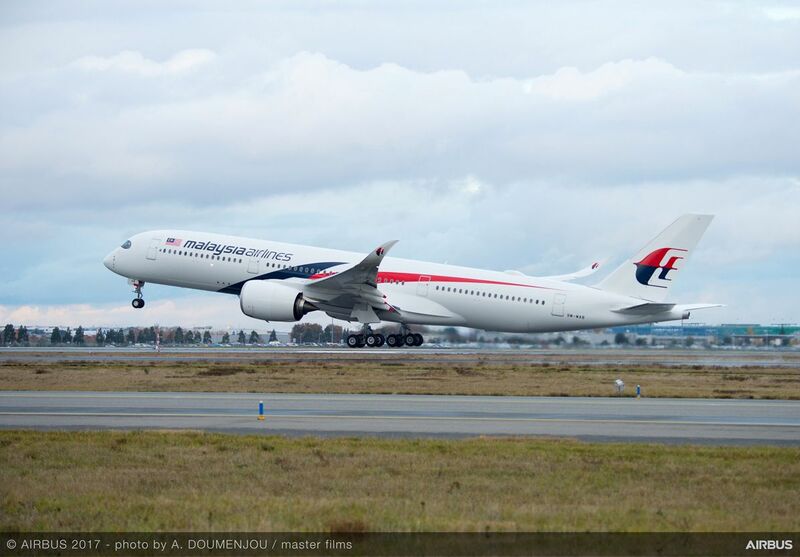 Malaysia Airlines took delivery of its first of six Airbus-900s leased from Air Lease Corp.
Czech Travel Service signed on December 7,2017 an order for nine additional 737 MAX planes increasing its total order book for the model to 39. 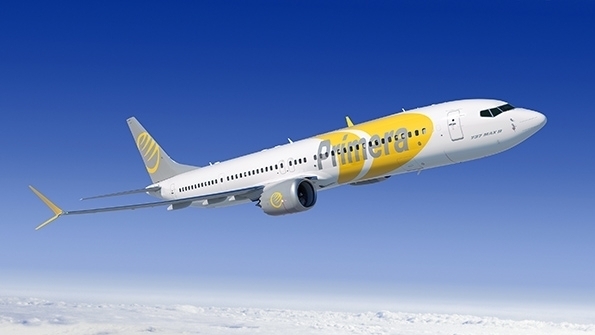 LOT Polish Airline took delivery of its first Boeing 737 MAX 8, which it has received through US lessor Air Lease Corp.
Primera Scandinavian leisure carrier has ordered two more 737 MAX 9s taking the original order signed in May 2017 from eight to 10 aircraft. 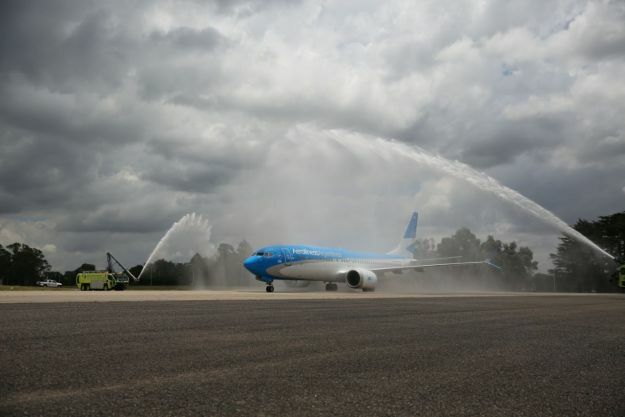 Aerolineas Argentinas celebrated the delivery of the carrier’s first 737 MAX 8 on December 4, 2017. Delta Airlines orders 100 A321neos and selects GTF engines from Pratt & Whitney to power the aircraft. Two Boeing 747-400-F’s sold on an Alibaba-owned e-commerce website Taobao for $48 million, making the pair of jumbo jets the highest-value sale ever. 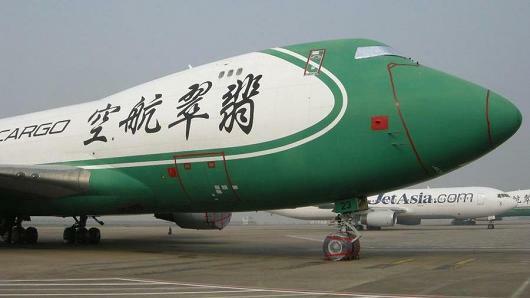 The two “Queens of the Sky” were from a bankrupt cargo company, Jade Cargo International, and sold to Chinese logistics company SF Express, according to the listing. Jade Cargo International was in Shenzhen and was founded in 2004 in which Lufthansa Cargo was a joint-venture partner along with Shenzhen airlines. Jade management, aiming to achieve high goals, ordered six Boeing 747-400ERF’s with a list price value of $1.3 billion. The planes have very low flight hours and will be a good addition to SF Express fleet and 737s and 767 freighters. 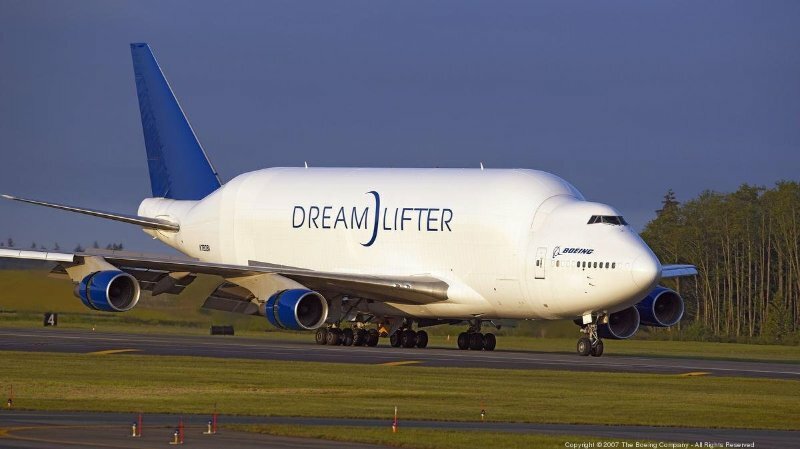 Boeing’s fleet of four Dreamlifters freighters are getting engine upgrades after years of hard flying. Once dubbed the “fantastic four”,the gigantic Dreamlifters are specially modified 747-400 passenger aircraft, Boeing acquired the four second hand 747-400s; former Air China aircraft, two former China Airlines aircraft and one former Malaysia Airlines aircraft. Modifications were carried out in Taiwan by Evergreen Aviation Technologies Corp. a joint venture of Evergreen Group’s EVA Air and General Electric. They were modified for Boeing between 2006 and 2008 to transport Boeing 787 Dreamliner wings, fuselage sections to Dreamliner assembly facilities in Everett and South Carolina. Each Dreamlifter is powered by four Pratt & Whitney 4062 engines. They will get the modernized versions of the Pratt & Whitney 4062, which are used on the twin-engine Boeing KC-46 Pegasus aerial refueling tankers, Bergman Said. Boeing Owns the four Dreamlifters, but Atlas Air Worldwide Holdings operates them for Boeing under a nine-year contract signed in March 2010.Atlas receives revenues for the flights, while Boeing assumes responsibility for certain direct costs, including fuel. 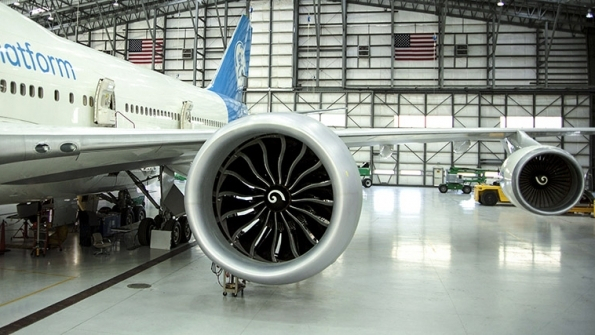 Rolls-Royce’s Trent 1000 TEN has entered revenue service, almost seven years after the engine it is to replace, the Trent 1000 for the Boeing 787, did the same. Although the manufacturer did not reveal the identity of the launch operator, three airlines — Norwegian, Scoot and Air New Zealand — have received Trent 1000 TEN . The new engine incorporates a scaled version of the Trent XWB-84 compressor used in the Airbus A350, as well as other technologies developed on Rolls’ Advance3 demonstrator. It targets at least a 2% fuel-burn improvement over the current Trent 1000 Package C production configuration, production of which Rolls has transitioned to the TEN through 2017. It will power the first 787-10, which is scheduled to be delivered to launch customer Singapore Airlines in May 2018, but will also become standard production engine for all Rolls-powered 787s from 2017 onwards. 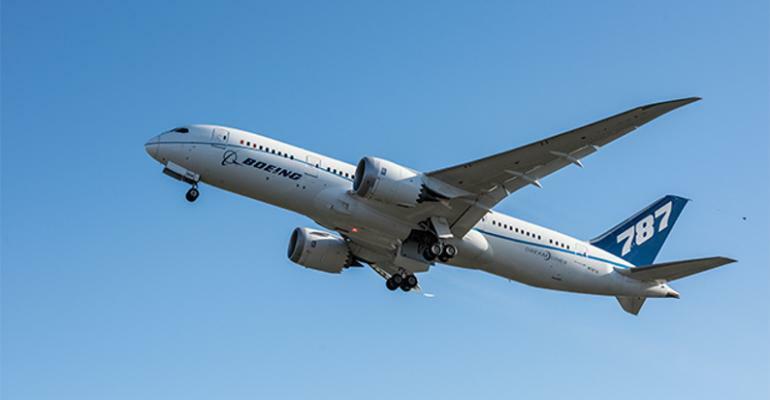 Flight tests of the Trent TEN began in December 2016 on a 787-8 test aircraft, and the engine achieved EASA certification in August 2017, also when the first production engines arrived in Seattle. The first 787-10 is scheduled to be delivered to launch customer Singapore Airlines in May 2018. Canadian North Airlines plans in the first quarter of this year to open a 90,000 sqft heavy maintenance facility at Edmonton International Airport to support its Boeing 737CLs and Bombardier Dash 8s. Spirit Aerosystems plans to invest $1 billion over the next five years at Wichita for expansion. Anjou Aéronautique of France was selected by Rossiya Airlines, Russia, to supply seat belts for its 15 Boeing 737-800s and nine 747-400s. Lufthansa Technik was selected by South African LCC Mango Airlines to provide CFM56-7B maintenance. AAR has a four-year Republic contract to provide heavy maintenance for 188 Embraer E170s/E175s.